I had a weekend away, happily, from a computer, traveling a few states south for a wedding. But my Sunday night routine didn’t change much — come home, drop down my bag, flip open the laptop, and tune into the Sunday night game of the week. The Reds were hosting the Atlanta Braves, both teams eying the top of their respective divisions, and the Reds were up 3-2 when I tuned in midway through, around the fifth inning. And the announcers were noting how good the starting pitcher had looked so far, how he could mean the difference for the Reds in the pennant chase. They continued, while I was half distracted with unpacking and airing out a stuffy apartment, noting his long road back to the majors. Then came some otherwise innocuous comment, acknowledging another 1-2-3 inning for Willis. Is this the end for Rocco? In the first playoff start of his career, he threw a no-hitter, needing only 104 pitches over two hours and 34 minutes to destroy the Cincinnati Reds. And the next night, the battled back from a 4-0 deficit for a 7-4 win over flame-throwing Aroldis Chapman and the Reds bullpen, via hit batsmen, walks and errors. Ugly, but effective. Earlier this season, I waxed poetic on just how good Halladay was. And in this game, it was pretty obvious early that the Reds were done. He had his fastball, his changeup and his curve working to ridiculous extremes. Old friend Orlando Cabrera complained that the umps were giving him the corners; I didn’t see that. I saw Halladay clicking on all cylinders, and when that’s the case, there’s basically no hope. One walk where he nibbled a bit was all that kept him from sending all 27 batters back to the bench unsatisfied. Eight strikeouts, all dominance. So much for playoff jitters. I do believe Eck needs his own show. Red Sox fans are spoiled by his presence in studio all season, so it’s nice to see his talents on display for a national audience. I feel legitimately guilty here. I promised the mighty Matt Berry that, in lieu of a postseason appearance by the Red Sox, I would root for the Atlanta Braves. I’m sorry I’ve deserted you, Bobby Cox and Derek Lowe so quickly. It happened about halfway through Tim Lincecum’s gem in Game 1: 14 strikeouts, one walk, no runs. 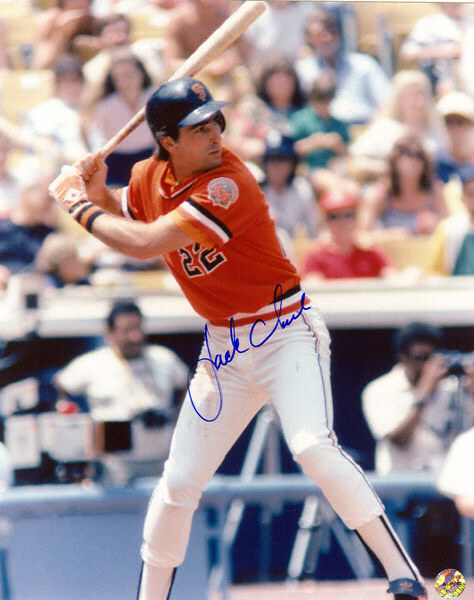 And to follow that up, the Giants came out in Game 2 (currently underway) in their orange uniforms, which just makes me think of Jack Clark. And for some reason, I’ve always loved Jack Clark. I may truly have left my heart in San Francisco. I love that city, I love the Bay, I love their record stores and I think I’ve fallen in love with the Giants this October. • Is this the end for Rocco Baldelli? Rocco Baldelli has always been a favorite of mine. Rhode Island’s native son, I’ve rooted for him since he came up with Tampa Bay in 2003. My former editor referred to him as look like a big dog galloping out in center field, racking up hits and wheeling around the bases. Of course, injuries and a rare mitochondrial disorder have derailed his career. 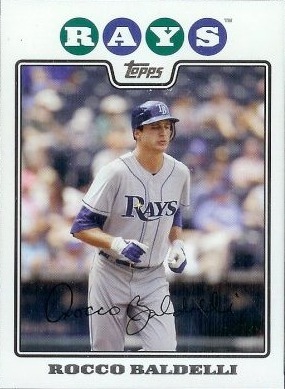 Just look at the baseball card I posted, his 2008 Topps issue: he looks labored. Every at-bat since that diagnosis has been precious. After signing with the Red Sox last season, he was valuable when he was in the lineup, but injuries kept him from making a meaningful contribution, even in a reserve role. He signed on as a special assistant with Tampa this season, played his way back onto the team by Sept. 1, and made the postseason roster, serving as Tampa’s designated hitter in Game 1. It made for a nice little comeback story. But the comeback is over. Baldelli was dropped from the roster with another injury related to his disorder. Willy Aybar took his place, and the Rays are down two games to the Texas Rangers. Whether or not they move on, this might be it for Rocco. Alex Rodriguez likened a Yankee defeat of the Twins to David beating Goliath. Alex Rodriguez needs to learn to keep his mouth shut, because whenever he opens it, he removes all doubt that he’s a complete and hopeless idiot. But the bigger point here is that the Twins, a longtime second love of mine as the jersey in my closet will attest, are on the verge of being knocked out by the Yankees again. Even if they were the victim of horrible officiating, this is pretty depressing. • What the hell is wrong with the umpires? Honestly, I never remember them being as bad as they are in the regular season as they’ve been in the playoffs. This is the second year of this. It’s as if their brains power down in October. 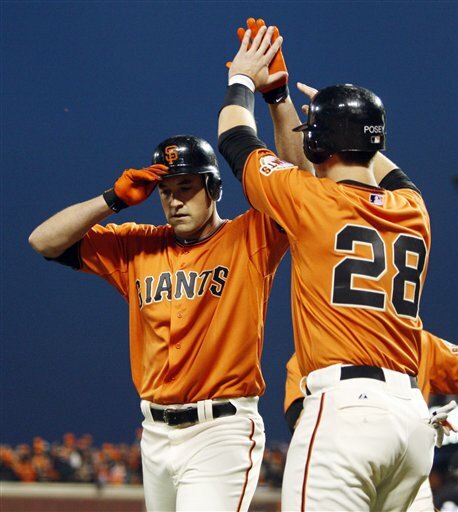 After his game, Buster Posey mused that it’s a good thing, for him, that baseball doesn’t have instant replay. I love that. I love that Posey, baseball’s newest darling, is already, albeit indirectly, needling Bud Selig, who must be the last man on Earth to believe that baseball doesn’t need more instant replay. Baseball absolutely needs this. They need to protect themselves, and these umps clearly need someone to save them. A sweet swing from either side of the plate. I have an interesting relationship with the Atlanta Braves. They were never my favorite team, but growing up, they were ever present in baseball, and with good reason. They had the greatest rotation I’ll ever see (Greg Maddux, Tom Glavine, John Smoltz, Steve Avery and Kent Mercker in 1995). Because Red Sox posters were hard to find, I had Fred McGriff on my wall during my middle school years. And thanks to TBS, they were the only team other than the Red Sox that I was able to follow on a day-in, day-out basis, not to mention my link to the National League. In the early 1990s, I got to see what a winning organization looked like from game to game, how they adjusted, how they worked new players into the system. 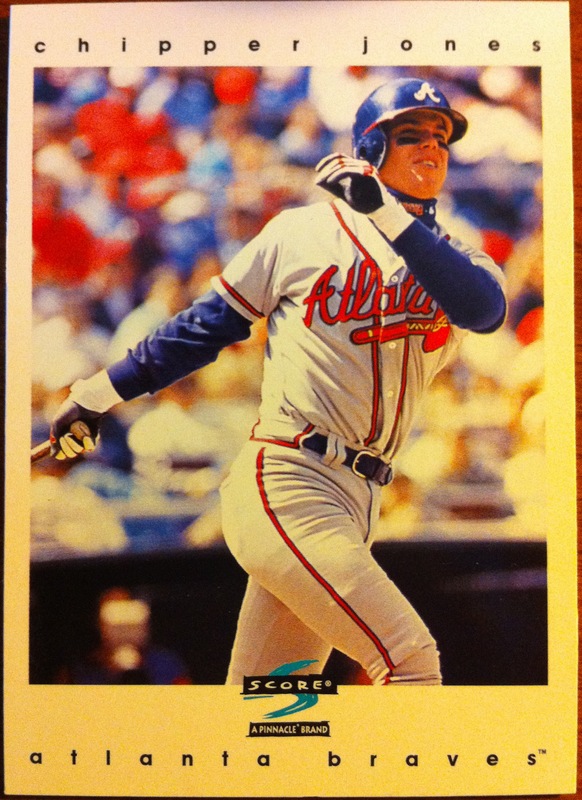 One of those new players got his chance to make a real dent in that system in 1995, taking over for the mighty Terry Pendleton at the hot corner — Chipper Jones, a slick third baseman with a funny name who could hit for power and average from both sides of the plate. 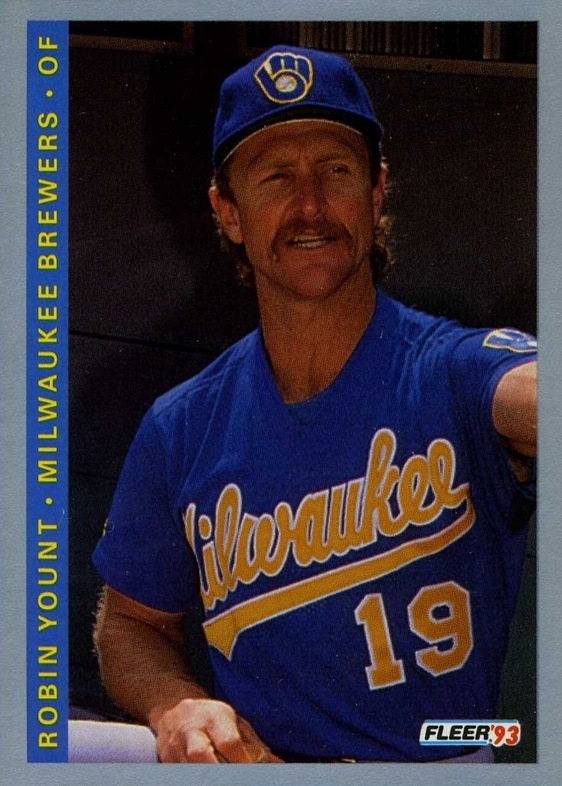 In the early days, he wore his socks high, he could make the stab-and-throw better than anyone not named Matt Williams, and he instantly became a force in the middle of an already stacked lineup. Easy to root for? Definitely. He was never a “favorite player,” I guess, but that’s to say that he didn’t play for the Red Sox and wasn’t named Rickey Henderson. But he was always someone I wanted to do well, and he had a knack for destroying the New York Mets. Over the years, he kept hitting, he switched positions a couple of times, settled back into third base, and now is regarded as one of the better third basemen of all time, who’s probably on his way to Cooperstown. It’s just not right. It wasn’t supposed to end this way. Even if this team wasn’t good enough to make it to or even win the World Series, the thought of Chipper and Cox riding off into the sunset on a deep playoff run gave hope to Braves fans that this could be another 1991. The season is far from over, and the team has several options to fill in the 3B gap. But without Chipper, the feel-good story just won’t feel quite as good. I hope this isn’t the last we’ve seen of Chipper, that he at least gets to walk off the field on his own terms. Braves fans deserve that, if nothing else.